« Day 162 in Beijing: Brother, Can You Spare A Ringgit? 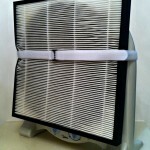 Day 162.5 in Beijing: Day 3 of the R2D2 Air Filter. So, our continued experiment with our Smart Air Filter is on day 3. 72 hours of cleaning the air in our apartment and allowing us to breathe a little more easily. 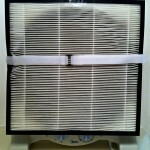 I’m wondering how many days R2D2 can go before needing an new filter. I’m hoping for 30 days because I want to do a time line of that length but I’m worried it will only be 2 weeks, or less, especially as the coal power plants start to burn and release more pollution into the air. I don’t like jumping to conclusions and fortune telling, but if the past is relevant, it will get much worse before it gets better. R2D2 is starting to think this is like the Dagobah system. 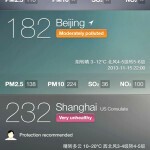 A few of the cities in China affected by the pollution.